There are 5 cat videos tagged with aoshima-island. 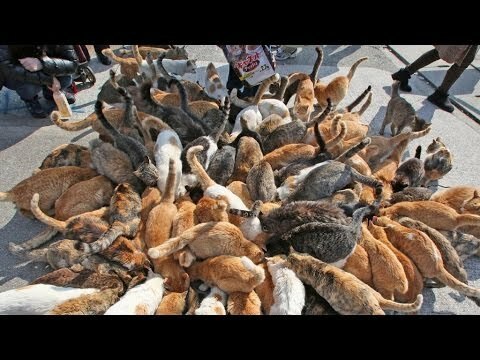 Japan's Cat Island - Cat Attack! 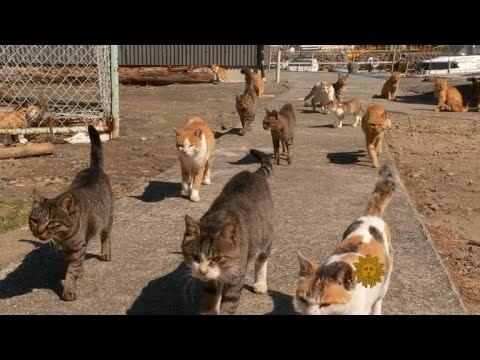 Welcome to Japan's Cat Island! 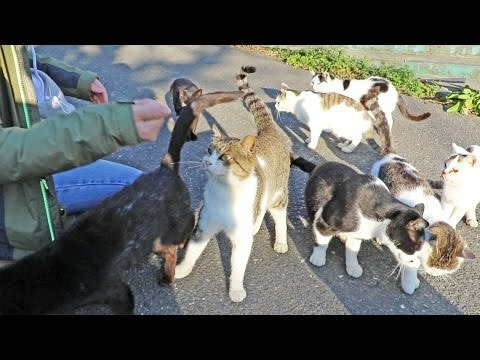 This video captures the first encounter with the cats during our visit to Tashirojima, aka Cat Island (or Manga Island, which will be explained later in the video series). The cats here are surprisingly friendly and will easily warm up to you in hopes of getting fed. Many of the cats were obviously hungry and in need of better care. Anticipating this, we had brought many pounds of the most nutritious and delicious food and treats to help fatten up the kitties during the barren winter months. The footage was taken during our stay on Tashirojima (田代島), which is a small island in Ishinomaki, Miyagi, Japan. It lies in the Pacific Ocean off the Oshika Peninsula, to the west of Ajishima. It is an inhabited island, although the population is quite small (around 100 people, down from around 1000 people in the 1950s). It has become known as "Cat Island" due to the large stray cat population that thrives as a result of the local belief that feeding cats will bring wealth and good fortune. The cat population is now larger than the human population on the island. 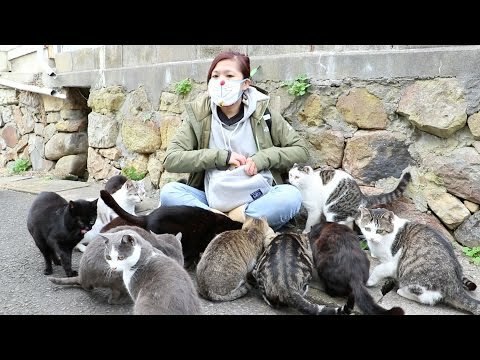 Girl Swarmed by Cats on Japan's Cat Island! 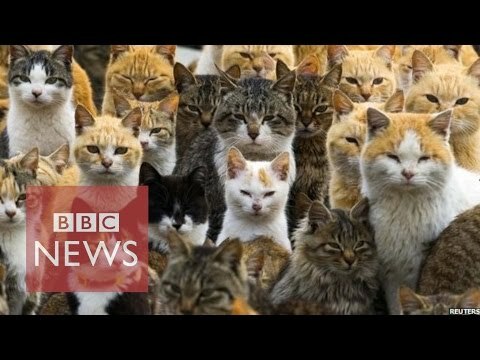 There is a tiny fishing village off Japan's west coast, where humans are outnumbered by a burgeoning population of felines. The locals call it Cat Island. Seth Doane reports on the scenic spot where scores of cats are proving to be a potent tourist draw.